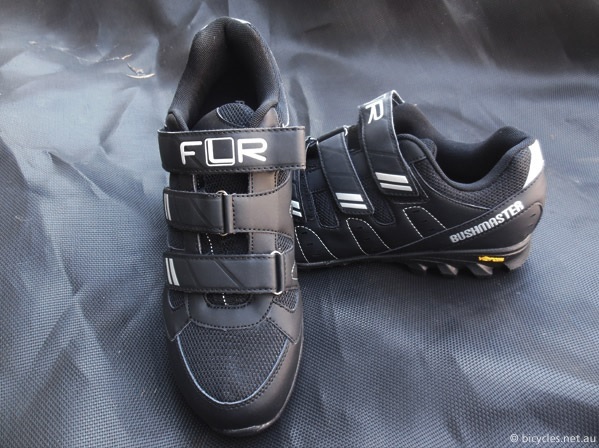 Bicycles Network Australia : FLR Bushmaster Cycling Shoes in Review. While they offer a range of shoes for all cycling disciplines at a variety of price points… most of my cycling is commuting and I need a shoe I can ride in between campuses and wear in the office as well..It’s stiff enough for cycling (though not as stiff as a racing shoe), but flexible enough to walk in comfortably (though not as flexible as a sneaker). FLR’s touring range fit the bill perfectly…FLR shoes are definitely worth having a look at as comfortable commuting, touring and trail cycling shoes.